The music of Estonian composer Erkki-Sven Tüür is much like his name. Its frame contains doubled elements, a cosmic chemical signature that embraces a hyphenated signifier in the middle, connection to some gravid space from which one can observe the unfolding of his distinctly personal character. 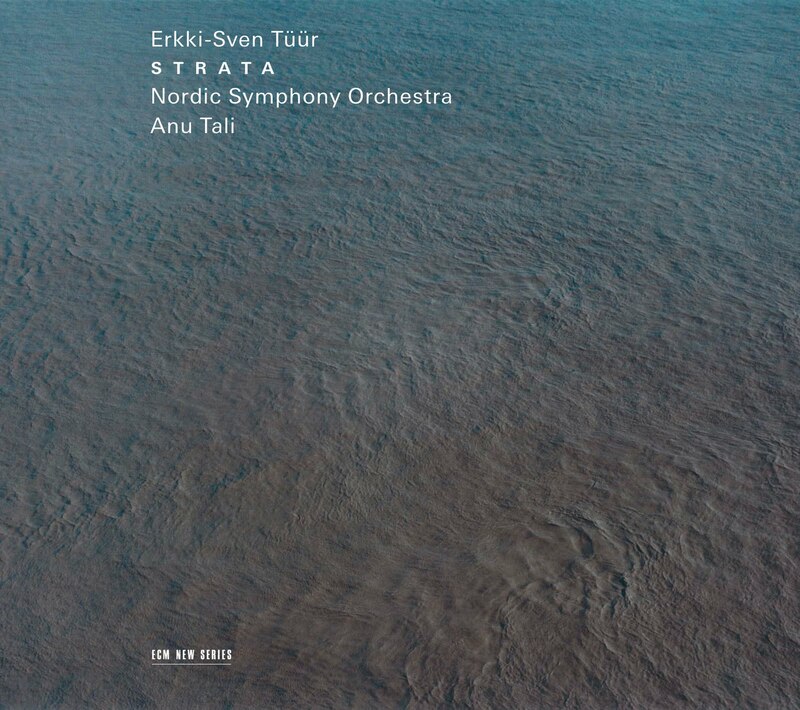 Of that character we get plenty on this album, his fifth for the New Series, for which the usual roster of ECM performers is swapped for the phenomenally talented Nordic Symphony Orchestra and its principal founder and conductor, Anu Tali. Together they bring luminescence to two recent works with mellifluous authority. The Symphony No. 6, the subtitle of which gives this album its name, is in fact dedicated to Tali and the NSO, who commissioned it. From the first bars, the reasons behind this inception become clear, for the musicians play this music as if they have known it all their lives. Composed in 2007, Tüür’s massive symphony is a master class in affect. It heralds a new direction for the maverick composer, who abandons his “architectonic” method (although echoes of Crystallisatio remain) in favor of self-styled “vectorial writing.” Where the former embodied an interlocking or amalgamation, the latter is more of an expansive or, in the composer’s terms, “genetic” development. One might say that architectonics constructed the body in which the cellular divisions of his vectorial composing could divide. Evolution over invention. The nature of this newer method is obvious in the symphony’s opening and closing bars, stretching as it does a sudden awakening into a dream of perpetual motion that, like all such experiments, inevitably journeys toward stasis. The result of all this is an orchestra that moves amorphously but singly, even if particular instruments do leave trails in the water. In the latter vein, for instance, piano and harp share a brief yet memorable dialogue. On the whole, strings lurk in recession for some time before revealing their palette of light—all the more effective in music that seeks through a glass darkly. What makes this feel like a symphony at all is perhaps its grandness of scope, which nevertheless retains an internal spirit, as indicated by the subtle (and not-so-subtle) percussive touches throughout. Tüür’s feel for color and space in this regard is so acute that it opens doors in the mind one never knew were closed. The smoothness of his transitions likewise enhances another symphonic staple: a feeling of luxuriance and orientation of detail that are remarkable for a 33-minute duration. Tüür’s narrative language is thus overlapping yet practical, a form of meta-speech that stretches a whisper to a sigh and allows the listener to draw any number of conclusions. Noēsis, composed in 2005, grew out of a very different commission (by the Detroit Symphony Orchestra and the Philharmonia Orchestra London, at the behest of Neeme Järvi). Although billed as a concerto for clarinet, violin and orchestra, the soloists are scurrying forces, less leading and more integrative. Each section of the orchestra becomes the panel of a fan, unfolding one rib at a time to reveal a connected focal point. Clarinetist Jörg Widmann joins his sister, violinist Carolin Widmann, in this wonderfully evocative piece, which is equally illustrative of Tüür’s new approach. Unlike the symphony, it begins in a hush of ambience that smoothes into the clarinet’s refracted introduction. The violin, on the other hand, is possessed of a free, if trembling, quality. The orchestra, meanwhile, pitches slowly, a boat on waves of molasses. The ending is one of Tüür’s finest, a braid of violin and clarinet carried into afterlife by a soft gong hit, resonant and touched by the sun. Tüür’s craft has always been deeply physiological, but with Strata he shows it to be also physiologically deep. Whereas his previous work seemed forged from raw material (cf. Ardor), now it issues a line of spider’s thread, pulled by an unseen hand from galaxy to galaxy. It is an expansion rather than a compression of time, the audio equivalent of quantum physics, the equation of which again finds articulate form in the name.